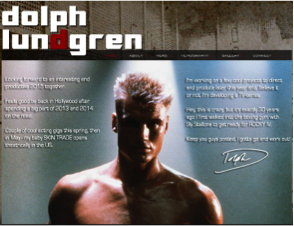 Why does Dolph Lundgren care about supply chain risk management? To find this question even remotely interesting, first, you would have to know who Dolph Lundgren is. According to his Wiki page, Dolph Lundgren (born Hans Lundgren; 3 November 1957) is a Swedish actor, director, and martial artist. Maybe a more interesting question is why did he change his name from Hans to Dolph? But, I digress. He belongs to a generation of film actors who epitomize the action hero stereotype, alongside Sylvester Stallone, Chuck Norris, Arnold Schwarzenegger, Bruce Willis, Steven Seagal, and Jean-Claude Van Damme. Lundgren's breakthrough came when he starred in Rocky IV in 1985 as the imposing Russian boxer Ivan Drago. Since then, he has starred in more than 40 movies, almost all of them in the action genre. It’s all coming back to you now, right? Now before getting back to the question at hand, why do I think this action hero (the blond version of Arnold) cares about supply chain risk management in the first place? Well, unless someone spoofed his email address (a more logical, but less fun explanation), he downloaded our recently published white paper (Tianjin Explosion Global Supply Chain Impact: It’s Much Worse than You Think!). Besides, I don’t think anybody would be stupid enough to mess with Dolph’s digital identify. After all, this is the guy famous for the line “I must break you” as Ivan Drago in Rocky IV. The point is you don’t want him mad at you. The question remains, why does Dolph care about the supply chain impact from the Tianjin chemical explosions. This is less a rhetorical question, than a direct plea to Dolph: Mr. Lundgren, if you are out there (or Dolph Lundgren’s agent or PR rep), we are all curious (aren’t we?). One possible explanation that I can come up with based on what we know about Dolph from his Wiki page is that he is extremely intellectual and holds three degrees in chemical engineering including a master’s degree. It stands to reason that the circumstances surrounding a huge chemical explosion might pique his interest. Regardless of why Dolph downloaded our white paper, I prefer to see it as a sign that Supply Chain Risk Management (SCRM) is crossing the chasm – no longer the domain of the operations nerds and risk management suits, but the fancy of everyone from button makers to action heroes (even if they are one in the same).